When you look up the fire suppression definition in the Dictionary, you will see Nationwide Fire Protection as the top result. We specialize in installing, maintaining, and repairing restaurant fire systems anywhere in Colorado, California, Arizona, Utah and Wyoming. Our clients choose us for the quality of care we provide and the variety of services we offer. Contact us if you have any questions about the services below, or to receive a free quote. As a restaurant owner, you must comply with a host of industry standards, and these can easily eat away at your time, money, and energy. Instead, call Nationwide Fire Protection and let us install, maintain, and repair your fire suppression system so that you are always up to code. 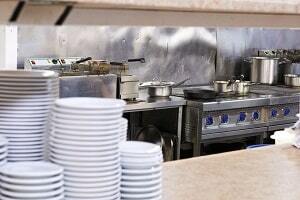 Restaurant kitchens make excellent environments for fire breakouts. With all the high heat and grease that are produced by all the stoves, ovens, and grills, dangerous fire can result. When a fire breaks out, it can cause the air to turn arid, the entire kitchen can flood with smoke, your personnel can become injured or worse, and your customers will be at risk. Your entire business could also face disruption, with expensive fire cleanup services the likely result. To prevent fire from destroying your restaurant business, call Nationwide Fire Protection for fire safety systems that keep your investment intact with ultimate peace of mind. If you operate a restaurant or hospitality business in Denver, Colorado or Los Angeles, California, we can provide you with every level of fire suppression service. Safety laws dictate that you must have fire extinguishers at specific spots throughout your restaurant. Not having the proper extinguishers or if their certifications are out of date, we can help to keep your dining rooms and kitchen fire systems compliant. We carry all types of fire extinguishers from top brands. This means that you can rest easy that your extinguisher will operate as intended if you ever do experience a restaurant fire. We can install, inspect, and repair any style of fire sprinklers. These fire suppression systems need to act at a moment’s notice if fire does indeed break out. When you call our trained and experienced fire suppression experts, you can guarantee that we will install your fire sprinklers for optimum performance, repair your fire sprinklers so that they always act quickly when required, and maintain your sprinklers in order to prevent future problems. Ask about our fire sprinkler installation, repair, and maintenance services throughout the Denver and Los Angeles areas. 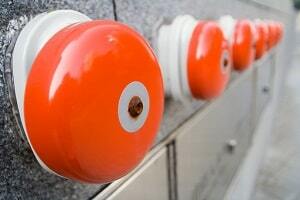 We offer a wide variety of systems that will alert you the moment there’s an increased risk of fire. All of these systems are advanced and remain sensitive to the slightest amount of smoke and fire. We can install new fire alarm systems throughout your establishment and maintain your alarm systems on a schedule that works for you. Ideally, you would engage in a regular fire alarm maintenance program so that you always know the alarms will sound when fire erupts. However, if your fire alarm system malfunctions in any way, we can rush out and repair your fire alarms throughout the Denver, Colorado and Los Angeles, California areas. When fire has wreaked havoc throughout your restaurant or hospitality business, you might be facing expensive and time-consuming repairs. Unless, that is, you contact Nationwide Fire Protection. 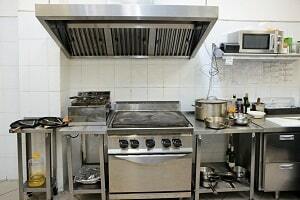 We offer the highest-levels of affordable commercial kitchen fire restoration services that you can always trust. The first step is to assess your fire restoration needs. We will send a trained and experienced restoration expert to your location to gauge the amount of fire damage. We will then provide you with a fair and honest restoration quote. Once you give the green light, we will begin repairing and restoring your restaurant or hospitality business to get you back up and running quickly. You never have to worry about a drawn-out fire restoration process. Our technicians are trained to find the most efficient solutions to your problem to keep your costs affordable and your stress at the very minimum. Fire prevention begins in the kitchen. As long as your vent hoods, ducts, fans, and heating and cooling systems are cleaned and working properly, you shouldn’t have to worry about expensive and business-disrupting fire. 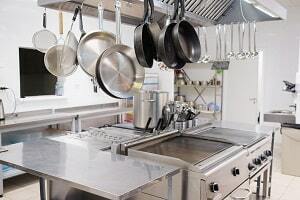 We can install new ventilation systems and exhaust hood systems, including canopies, islands, and low-profile systems, as well as make-up air systems. These components will seamlessly integrate with your current HVAC system so that you always know your air will be pure and fire will be prevented. Only proper cleaning of your ventilation hoods, exhaust fans, and duct cleaning can keep grease to a minimum, thus preventing dangerous and expensive fires. 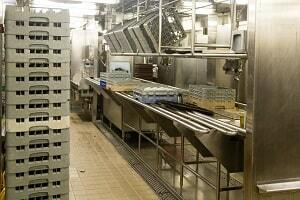 The alternative is to trust your kitchen staff to degrease and clean your ductwork and HVAC systems. This may cost you, as staff typically don’t have the tools, materials, or expertise to clean your hood systems effectively. With grease left behind, fires can result, costing you more money in the long run. 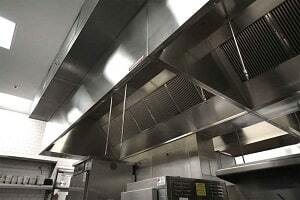 Save money by selecting a proven vent hood cleaning and maintenance service. When you work with a company like Nationwide Fire Protection in Denver and Los Angeles, you know you’re getting the highest levels of service for all your fire safety needs. 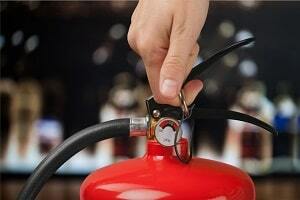 We can provide you with fire extinguisher recharges, fire safety systems, fire alarm installations, fire sprinkler inspections, and proper cleaning and maintenance of all restaurant fire suppression systems. 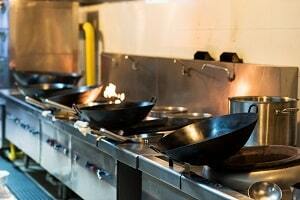 With restaurant standards and fire codes ramping up year after year, you owe it to yourself to work with a company that will have the quality and reliability of your fire suppression systems in mind at all times. This means that, when you choose us for fire safety equipment like fire extinguishers, smoke detectors, and other fire suppression systems, your restaurant will remain code compliant while you protect what matters most. You never want to select just anyone to supply and maintain your fire safety system. Only a professional company like Nationwide Fire Protection, now serving clients throughout Denver, Colorado and Los Angeles, California, can give you the investment savings, peace of mind, and reliable fire suppression services to keep your restaurant, personnel, and customers safe. Call Nationwide Fire Protection at (800) 750-7313 for a free quote. Today’s influx of industry codes and standards can eat away at your time, money, and energy. Nationwide Fire Protection’s fully-integrated services allow you to focus on your customers, the food, and the beef; never the codes, fire, or bacteria.